We have been serving authentic Japanese cuisine for locals and visitors in the heart of beautiful Kailua town since 2002. Noboru presents a wide variety of dishes from small appetizers to Teishoku, Sushi, Shabu Shabu and Chanko Nabe along with beverages: wine, Japanese beers, a wide selection of Sake and soft drinks. Noboru takes pride in serving the freshest sashimi and sushi, crisp and light-battered tempura. Don’t miss out on our grilled fish dishes and yummy Sukiyaki! Come and enjoy lunch and dinner with your loved ones. We welcome you to be our guest for authentic Japanese delights! Outstanding food, service & overall dining experience. Great service and great food! Loved meal and the matcha tenpura ice cream!!! I've been there a lot of times and each time I go there it's getting worse. At Lunch time they started to offer "Donburi" which means "A big bowl-dish" in Japan. The Sushi Chef over there was Japanese and he knew exactly what "Donburi" means and in fact I asked him when he served me a small salad bowl of Sushi "Is this what you called Donburi?' he could not look at me nor gave me a proper answer because he knew this is not "Donburi". They might be able to fool non-Japanese speakers but not us. It is very shady things to do and I almost be embarrassed for them. The little tiny bowl they served over there cost $15 and it's not worth it at all. I won't be back there ever again. We're eat at Noboru regularly. The food is great and we like the informal, neighborhood atmosphere of the restaurant. The one area that could improve is their service. During our most recent visit, the place was packed, so my comments may not be a fair assessment. Although service was on the slow side, I could understand given that the restaurant was very busy. What I didn't appreciate was that the time span between the serving the main course to the first member of our party and the last member of the party. We normally don't start eating until all of us have our meals. Therefore, the first member had to wait a long time before starting to eat his meal. Better to have all wait, than to stagger the delivery of the main course. The waiter also did not seem familiar with the selections on the menu. That said, we enjoy coming to Noboru and will keep on coming back. 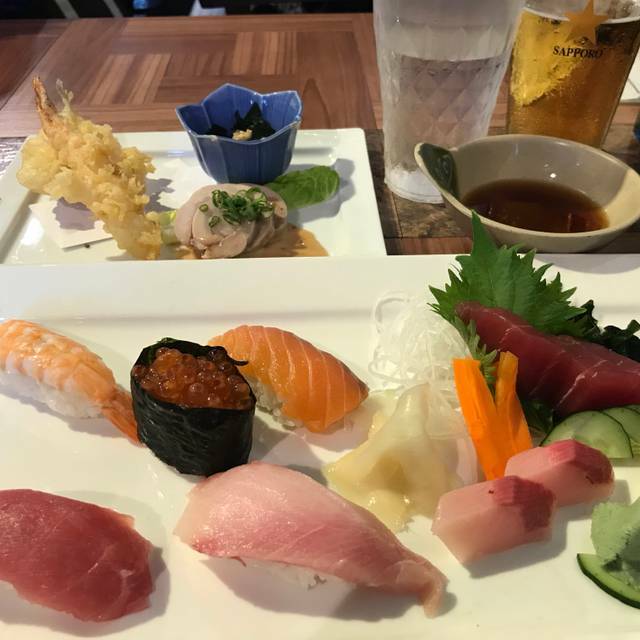 Nice surprise, probably the best Japanese restaurant in Kailua, authentic and well-prepared, by a real Japanese sushi chef at a reasonable price! Valentine’s Dinner. The food was great and the service was as good as possible with the very limited staff they had working Valentine’s. We will go back. Delicious food and attentive service!!! Dont use opentable to book a reservation at Noboru. Our family has never experienced a problem using open table until booking with this restaurant. We made our reservation about an hour before the reservation time. We drove over 20 minutes, when we arrived our reservation time was not honored. The restaurant was more than half empty with a lot of open tables, however they wanted us to wait 20 minutes, and said we didnt book our reeservation far enough in advanced. It was disappointing and highly inconvenient on a Saturday night. Excellent, friendly service. Unpretentious with a focus on quality. Our reservation on Jan 5, made approx. 1 hour prior, were not honored. We drove 20mins , and were told upon arrival that they didn’t “see” the reservation. WTH? Wanted us to wait another 20 mins and the restaurant was half empty. Have dined here many times in the past. This just left us with a bad taste. Will never dine here again. Service and food quality is hit or miss. Consistently great Japanese food. Good sake and Japanese beer selection. Quality of service has fluctuated but recently has bee very good. We waited over 1.5 hours to get 2 rolls; finally, after a long wait, when we decided to leave, they gave them to us. They did not offer to take them off the check or any other compensation for the long wait. The food at Noboru is always good. Unfortunately sometimes they are understaffed either in the wait staff or in the kitchen or both. But will continue to go because the food is good. Delicious food! The sushi was outstanding and the chicken katsu was THE BEST. Great little place to have an intimate dinner date. Good food, slow service although staff were very nice and polite. The portions have decreased while the price of food has increased. There are better places with better value for food in Kailua. Small but great, authentic japanese place. Very friendly service with good recommendations. Well worth a visit! We were celebrating Mother’s Day so we tried their special and it was fantastic! The nigiri sushi and sashimi were very fresh and delicious. The shrimp and fish tempura were just the right temperature and the tempura batter light and crispy. Presentation was nice not over the top and the condiments were a welcome addition to the meal. A small salad (lettuce and dressing), miso soup and rice accompanied the special. We ordered Sapporo Draft beer to complete everything. We were so full by the of it we had to skip out on dessert. Our party was very satisfied and felt the price of $38 for their Mother’s Day special meal was worth it. Restaurant called to confirm the reservation and I also called back to confirm. Of course when we showed up, we were told reservation was supposed to be for previous day, so sorry, no table available...until I had to show my Open Table confirmation and then we were seated. Never felt welcomed at all...waitress gave us the menus and told us to hurry and order as they are busy. Food came and waitress left...no one asked if we needed anything...we had to request tea, dish for shoyu, refill of water. Overall, food was good. Hamachi was excellent. Everything was fresh. Even the Tonkatsu had a clean taste and not greasy. Before we were given the chance to ask for anything else, we were given the bill, so decided to pay and hele out. Awesome service...excellent Japaneae fair. Always a winner! food yummy as usual. comes out hot. love that. we eat early with the kids so it’s not too crowded. Liked it. Small place and good food!!! Everything was delicious and service was good. would surely recommend and will return! Well let me tell you don’t book this place on open table as I made an reservation at this place and when I arrived at the time I booked it for!! they said they were full.. so I will not be going back here and will not recommend this place. We went on New Year’s Eve, dragging along my friends from Japan, knowing that this restaurant serves soba noodles, a dish that MUST be consumed on New Year’s Eve, in order to safely welcome in the New Year. I was extremely disappointed that the soba noodles they normally serve was not available on New Year’s Eve! We were all so disappointed that we were speechless! We came just for that! Not to serve soba on New Year’s Eve just does not make any sense in a Japanese restaurant! You would expect at least soba if not anything else. In addition, tea was luke warm. Salmon was so salty my friends could not eat much of it. Rice was mushy. They got orders wrong. My daughter’s dinner did not come out until we were done eating. I was embarrassed. My friends felt bad for me. It was a disaster. My experience in the past NOT on New Year’s Eve was not bad. Perhaps we were just unlucky. Perhaps I should have called in advance to make sure they will serve soba. Maybe they were too busy and stressed out. Probably fine if you don’t expect authentic Japanese food on Bew Year’s Eve. The Japanese owner seemed very nice, and the waiter and waitress were nice, too, so I feel bad writing anything negative. Excellent quality sushi. Everyone definitively needs to try if they haven’t yet! Fish is fresh and tasty! Teishoku are also delicious! The sushi was very fresh and beautifully presented. Reasonably priced for the quality. Our server was knowledgeable about the extensive sake menu and her recommendation was perfect. We've been to many sushi restaurants and this is one of our favorites! The best hamachi kama -- delicious. Butterfish and eel excellent as well. side dishes a bit skimpy but I didn't care biz the main course was so well-prepared. Made reservations for 2 at 6:15pm. Got seated right away but waited for 20mins to order and get water. We ordered chicken katsu, tempura soba and 2 hand rolls. We waited for about an hour for our chicken katsu and tempura soba and ended up canceling our hand rolls due to the wait. The restaurant wasn't even crowded. I even had to refill our own water. For a FIRST time experience this was TERRIBLE!!!!! I don't plan on going back. The place is AWESOME & food is beyond expectation every time!! We would visit everyday if we can!! We had a very enjoyable birthday dinner with a full bottle of Leechi Sake and Saporo for 5 adults and 2 children, 6 different Sushi rolls, a 3 course entree, 3 appetizers and 2 children's meals for about 200 (tip included). By Hawaii standards, not bad pricing. The Food was delicious and everyone walked away satisfied. Decidedly, a great place. Very friendly staff and most attentive. We had a very enjoyable dinner with a very friendly and attentive staff. 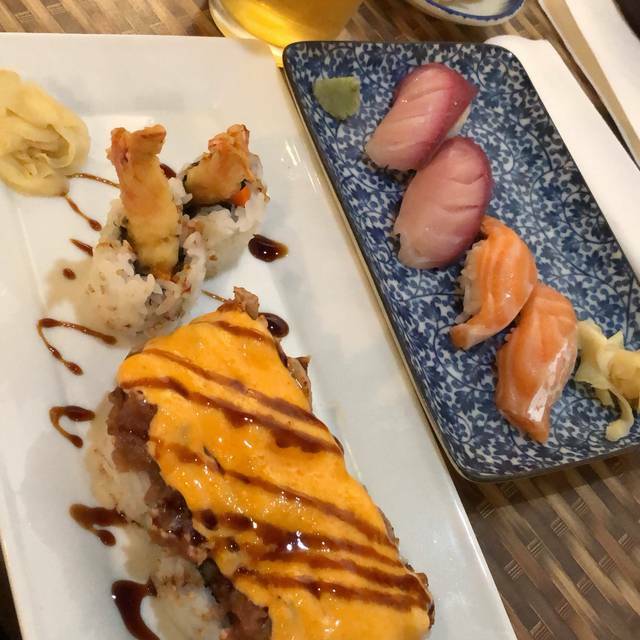 The sushi was a highlight for me! I was there with a friend for a late lunch. It was almost empty and therefore very quiet, which I liked. Our waitress was very attentive to the needs of my guest who had sight and hearing issues, and she made many accommodations for us. The food was very good with good sized portions. I'd certainly go again. We had a party of 14 for lunch and the service was great, food was delicious, and the waitress even explained the symbolism of the food we ate and how it is created with a lot of care and good wishes for the customer. 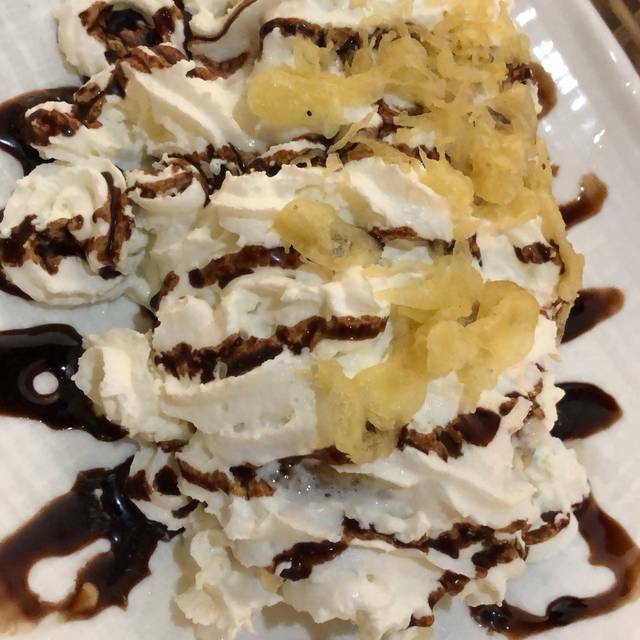 After our meal, we had the vanilla and green tea tenpura ice cream which were a very special treat! Great, authentic Japanese food!! !